Noah challenges himself to find the outer limits of what he understands. In 9th grade, Noah discovered that the key to developing expertise is about learning what to do when you get in over your head. Here's how he fell in love with math. 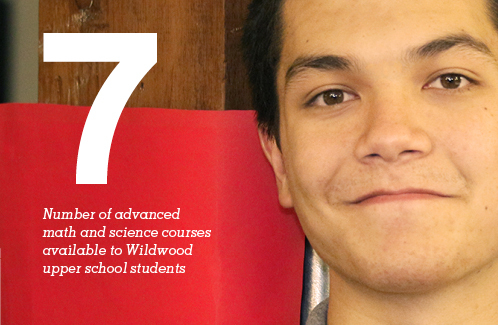 "I had never encountered a math teacher quite like the one that led our class last year. He tossed us right in, telling us to do what we could and not to worry when we ran into trouble. That's how I learned that the best part of math is not knowing what to do. It's not about being competent and levelheaded in every situation. When you're unsure, how do you react? How do you get creative? What is the first step you normally take, and what would it feel like to try something new? That class allowed me to reach for the outer limits of my comprehension. That's how I fell in love with math." There's a lot of creativity in math. Noah found ways to apply trigonometry to classical physics, to higher mathematics, and to the path of a torpedo moving through the water to a target. In calculus he got to define a function and then study the properties that made it unique and also useful. 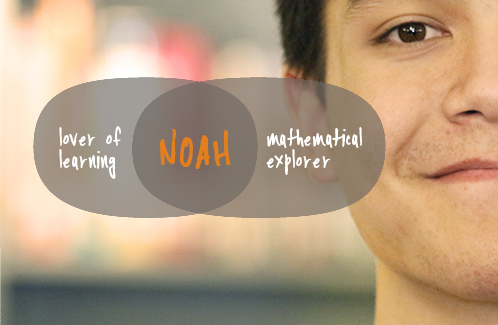 Noah describes the essence of math as a set of rules. "The rules give rise to patterns. The patterns allow you to model abstract structures that can approximate behaviors. And then you can refine your original model to make it more rigorous and elegant." "This year I'm studying multi-variable calculus online with the help of my favorite teacher, along with an elective on number theory. I'm excited to dig deeper."